• There are 125 rooms and suites. • The Caelis restaurant and anoter restaurant located in the hall, and Rien de Rien cocktail bar. • Palace Barcelona is in Eixample district and close to the Ramblas. • 1919: The Hotel was built by Charles Ritz (1891-1976). Charles Ritz was the son of the legendary Swiss Hotellier Cesar Ritz (1850-1918) who in 1898 built the Hotel Ritz in Paris, in 1905 the Hotel Ritz in London and in 1906 the Hotel Ritz in Madrid. Hotel Ritz is by far Barcelona’s chiquest and most expensive Hotel. During the early years the guests include the King of Spain, the President of France and the King of Italy. • 1936: Outbreak of the Spanish civil war the Hotel Ritz was turned into the « Gastronomic Hotel No.1″ in control of trade unions. • 1973: Salvador Dali stays at the Hotel. Figueres, the small charming town of Salvador Dali is located 100 km north of Barcelona. • 2005: The Hotel loses an intellectual property dispute about it’s own « Ritz » Hotel name. • 2006: The Hotel is renamed Palace. • 2007: The Hotel goes through a 30 million euro renovation program. 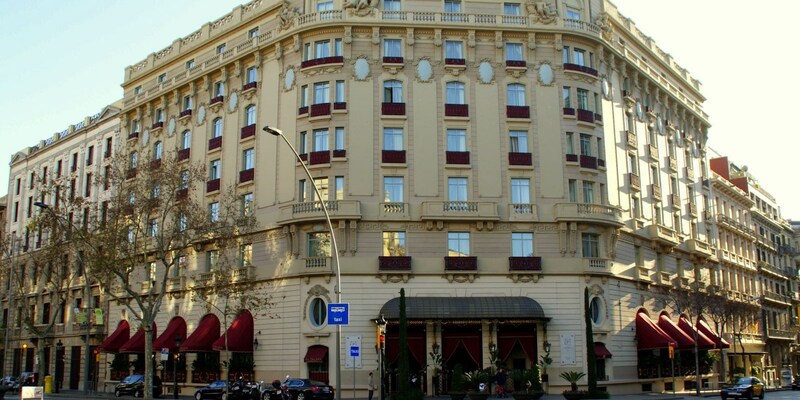 • 2009: Reopening of the Palace Hotel by the Spanish Hotel Chain Hostelleria Unida SA (Husa). Husa was founded in 1930 by José Gaspart Bulbena. • 2011: Acquisition of the Hotel by the Algerian businessman Ali Haddad for 68 million Euros.